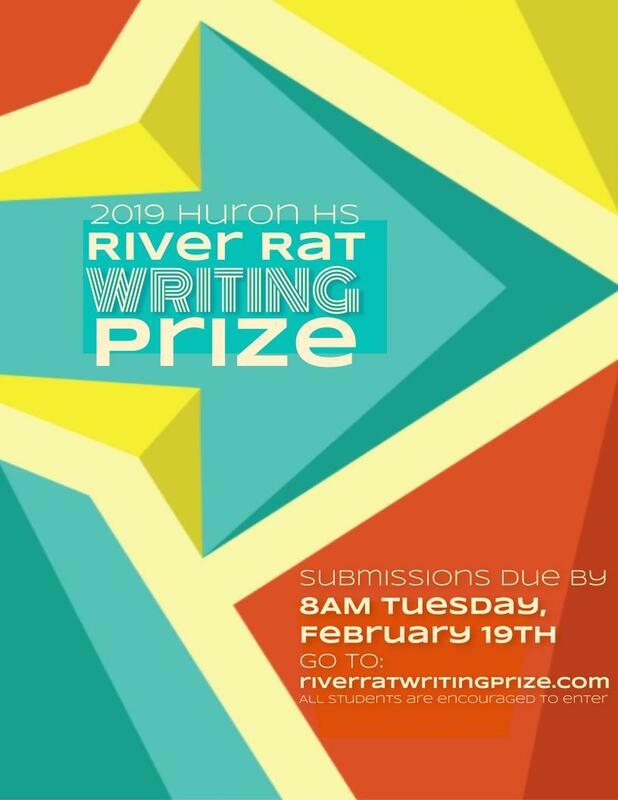 The mission of the River Rat Writing Prize is to encourage and foster creative writing within the Huron community by celebrating the exceptional writing of current students. The River Rat Writing Prize seeks to provide a creative outlet and authentic audiences for students. We believe that the student work produced at Huron deserves to be celebrated within our school community and with the community at large. Winners will receive public acknowledgement and financial reward for their inspiring work. We encourage all students to enter the competition. All winners will be published on the River Rat Writing Prize website. Winners will be asked to read their winning entry at a public gathering in celebration of the contest. Authors retain all rights to their own work. Selected entires will be published in our digital literary magazine. ​Prize money may be in the form of cash or a gift card.